If you frequently write tutorials and manuals for helping other users, screen capture tools are something you can't do without. Be it capturing a small section of your desktop or capturing a whole video for a tutorial, screen capture makes it easy for you to show your desktop to the world. These recorded tutorials can be posted on sites and even YouTube for helping other users out with their problems. Screenshots and screencasts can also be used for demonstrating a new software to users so that they get a good preview of what they're going to download or buy. That said, there aren't many screen-capturing apps for Ubuntu as there are for Windows and Mac OS X. Needless to say, you'll have to stick with the ones that are stable and are free of any bugs whatsoever. 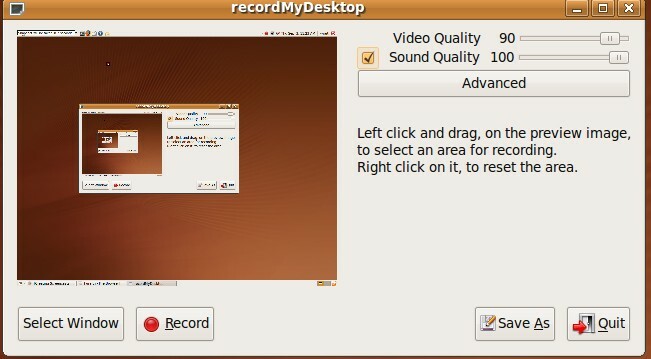 Ubuntu users can download these apps and start recording their desktops right away. So, without much ado, here are some of the finest apps available for screen capturing that are best compatible with Ubuntu. Though many of the screen-capturing applications focus on capturing the whole screen, it becomes difficult to record tutorials that are focused on explaining things on the command line. For example, if you are teaching your audience programming or shell scripting putting focus on the terminal might work but you won't get a clear picture of the window. Shelr is a free application that helps you address that problem. It is a tool specially designed to record activity from the command line and command line only. Furthermore, once installed, it also lets you publish your screencasts to shelr.tv. 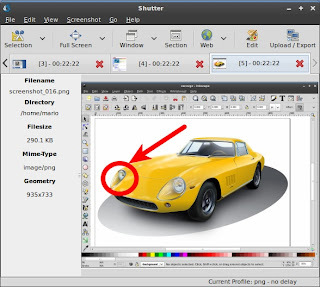 Shutter is a free application that blends perfectly with the Ubuntu desktop. Fitting nicely in the indicator menu, Shutter not only allows you to take screenshots of your desktop, it also lets you edit and annotate them. Once installed, this free application can help you take screenshots of menus, windows, and even parts of the desktop. 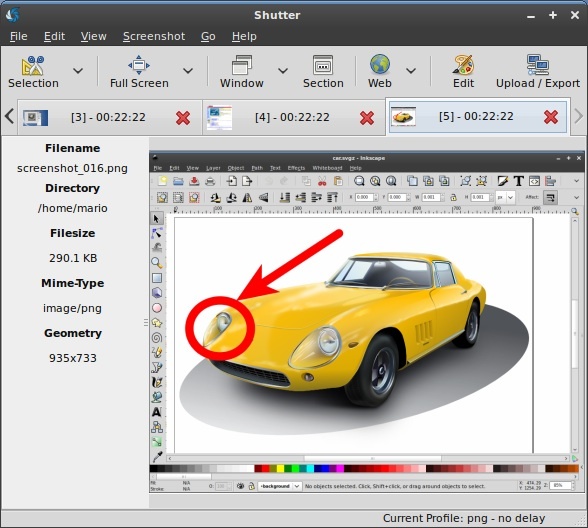 You can then use Shutter's edit tool to annotate the screenshots or even blur parts of the screenshot to protect your privacy. Gnome-screenshot is the staple tool if you want to take simple screenshots and nothing else. Already installed by default in Ubuntu this tool can be accessed by simply pressing the Print Screen button on your computer's keyboard. The Print Screen button will take a screenshot and a small window will pop up asking you where to save it. 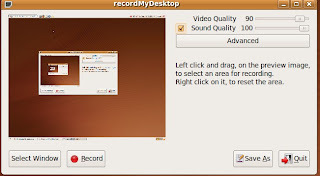 RecordMyDesktop, as the name says, lets you record your desktop and save it in the form of videos. Available both as a GUI tool as well as a command line tool, this free application lets you capture and encode videos at the same time. One of the best features of this screencasting application is that it is available in two frontends: Qt and Gtk. 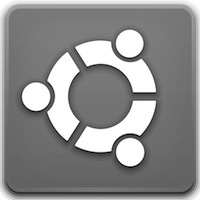 Written in Python, the app can thus be used natively on KDE as well as GNOME desktops. While the recording takes place through PulseAudio, the app also lets you record audio via ALSA, OSS, and JACK audio server. If you're a command-line junkie then there is a command-line version of this app that you can install right away. This will give let you take screenshots by simply entering a command. 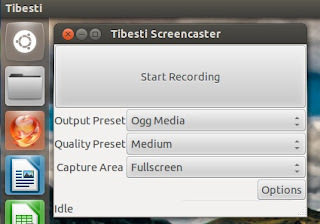 Though this is an unstable application, it is one of the only screencasting applications that blend perfectly with the Ubuntu desktop. It allows you to record your desktop to multiple output formats, such as WebM, Ogg Media, Flash and several types of Matroska-based formats. Furthermore, Tibesti also logs your screencasts to Zeitgeist thus letting you search your screencasts using the Dash. The project isn't currently being maintained but will definitely work for you if you are looking for something that goes well with your desktop. What about Kazam? Or Screencloud?